We have to admit: Pantone's Color of the Year for 2013 isn't exactly the easiest shade to wear on our faces. Sure, it looks fantastic on clothes, shoes, accessories—heck, even lingerie—but we can't imagine how the shade will look like on our lips. It's not always Halloween and we can't always look like Poison Ivy (although we wouldn't mind having her body). So we asked 11 makeup artists how we can pull off this color trend, and the technique is surprisingly easy: Stick with one feature—whether it's your lids, the lines of your eyes, or your nails—and work it. The luxurious color goes with absolutely any skin tone (yes, even us morenas!) and not only adds a pop of color, but brightens our complexion as well. Don't believe us? Click on the gallery link below and check out our makeup artist-approved beauty picks! Have you tried this tricky trend? 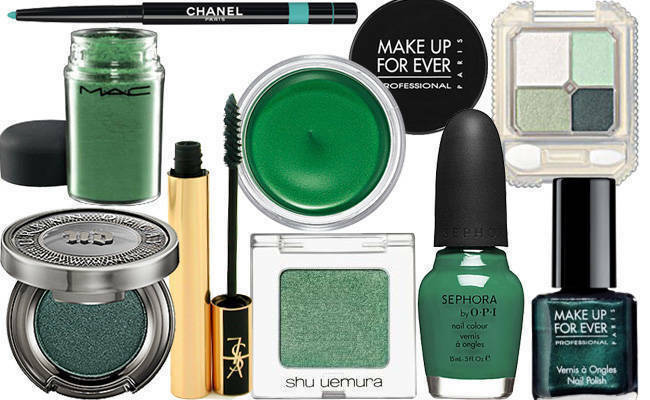 Share with us your favorite emerald green beauty products by commenting below. We'd love to hear from you!